Advantages: A comprehensive look at Tomcat Operations from Southern Watch to major combat ops and into 2005. I am of the view that no recent air war has received so much detailed coverage so quickly as the ongoing conflict in Iraq. In this regard one of the publishing houses at the forefront has been Osprey Publishing. Their Osprey Combat Aircraft series has to date covered F-15 Units, US Navy F/A-18 Units (part one of a trilogy), US Army Apache Units and now in the latest volume (52) they provide coverage of what is possibly the final fling of the F-14 Tomcat as the last units rapidly stand down to reequip with the Super Hornet. The author of this volume is aviation journalist and Osprey Combat Aircraft Series Editor Tony Holmes. 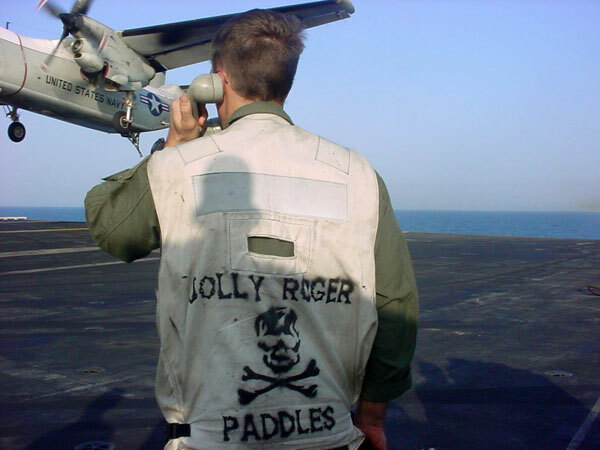 Tony, an Australian based in the UK, has written extensively on the subject of US Naval Aviation in both journals and books and is sufficiently well connected to make this volume a worthwhile addition to the written history of the OIF air war. Not taking any prior knowledge for granted, Holmes walks the reader through some useful background, including the bitter experience of the 1991 war and the subsequent development of the Bombcat in the 1990s. The result is a good understanding of the dynamics of the US Naval Aviation that resulted in the pre-eminent fleet defence fighter becoming the aircraft of choice for precision strike and fast-FAC in 2003. The Tomcats role in Southern Watch is then covered in detail, with first person accounts dominating the narrative to illustrate the points made by the author. 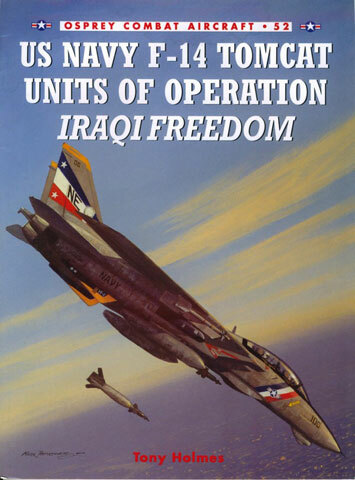 In this volume the complex dynamics of Response Options and the mechanics of strike and air defence ops in the box (as the area of the Southern No Fly Zone was known) are explained in an accessible way, substituting nicely for the lack of previous documentation of this highly structured operation that kept Saddam Hussein in check for 12 years. The real meat of the book though is when Holmes turns to the phase of OIF now known broadly as major combat ops. In “Shock and Awe”, “Shaping the Battlefield”, “Black Knights” and “Northern War” the author covers in turn the strike and close air support activities of the Tomcat squadrons as the war progressed through March and April. 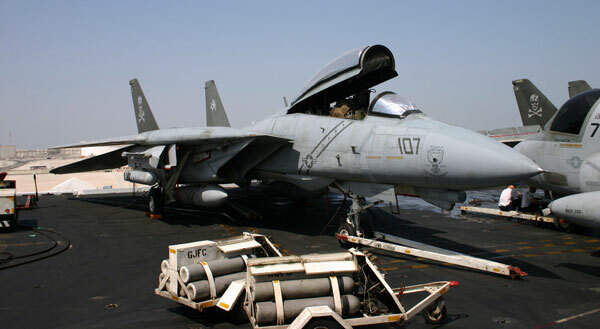 The knowledge and skills of the Tomcat FACs is particularly noted, as is the importance of the ability of some models of the Tomcat to employ the JDAM, the weapon of choice in this war for precision strike. The chapter “Black Knights” is worthy of note as that squadron effectively split into two for the war, with one half ashore teaching (and flying) FAC and SCAR (strike coordination and reconnaissance) skills to the Strike Eagles of the 335th and 336th Expeditionary Fighter Squadrons of the USAF. It was quite gratifying to note the praise heaped on the assistance provided by 75SQN RAAF in this chapter as they facilitated and supported the Tomcat maintainers, allowing a much smaller shore detachment than would otherwise have been required. Holmes concludes this volume with a look at ongoing operations over Iraq as the final few Tomcat equipped carriers rotate through the Arabian Gulf as counter-insurgency operations proceed in Iraq. As this chapter highlights, the flexibility of a long endurance two seat FAC and SCAR aircraft operating in mixed divisions with both Legacy and Super Hornets is something that will likely be sorely missed by the USN. As with all other books covering the recent conflict, this volume contains a lavish number of first person accounts from the aviators that took the Tomcat into combat for the final time. This is really the highlight of these books and brings a wonderful personal perspective to an occupation that is both glamorous and extremely dangerous. If for nothing else the words and pictures supplied by many Naval Aviators from CAGs to lowly LT JGs make the purchase price worthwhile. As is usual for the Osprey Combat Aircraft series included in this volume there is a useful appendix covering all the units which have operated the Tomcat in theatre up to the OIF III rotation of the JFK with VF 103 in late 2004. 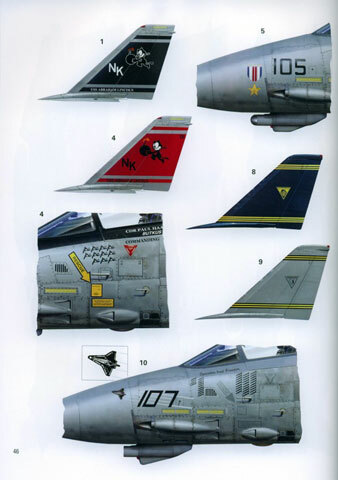 18 colour profiles of Tomcats from all units fill the centre pages, supported by 17 scrap views highlight tail art and mission log details as applied to the aircraft. 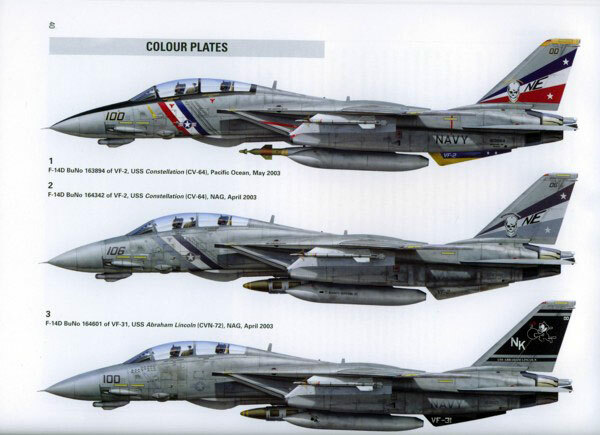 Modellers are well served with the photographs and aircraft details which would support an accurate model of an OIF Tomcat. The captions also contain a wealth of useful notes, including discussion of various ordnance loadouts carried by different squadrons, always useful to finish off an accurate replica. The majority of included photographs are small, but in common with many of the volumes on recent US subjects, includes a generous amount of colour. The rarity of the photographs, many taken by serving members in theatre is itself a reason to purchase this book. Yet again Osprey has published an excellent volume on a topic of interest to many.